Can you mix them? What happens if you do? The general consensus among doctors and psychiatrists is that combining alcohol and antidepressants can have disastrous consequences. While alcoholic beverages react differently with various classes of drugs, most anti depressants will greatly accentuate the impact of alcohol on the body. Although alcohol is often considered to be a self medication, this effect lasts for a short time leading to an increased risk of depression and addiction. Also, because both alcohol and antidepressants impact the level of seretonin in the brain, when mixed together, they can cause severe mood swings. Selective serotonin re-uptake inhibitors (SSRIs): While some SSRIs like fluoxetine show no reaction with alcohol, others such as sertraline, escitalopram and citalopram do not lead to any increase in the effects of alcohol on motor and cognitive functioning. However, fluvoxamine and paroxetine; which drugs in the same category, can cause severe drowsiness when used with alcohol. Manufacturers of SSRIs will warn users against consuming alcohol when taking the antidepressant. 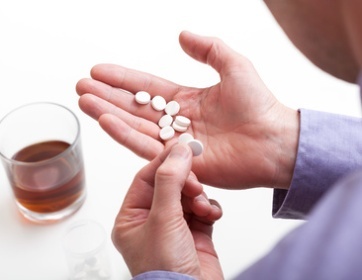 Tricyclic antidepressants (TCAs): If you are on TCAs such as amitriptyline, consuming alcohol can significantly increase the risk of feeling drowsy and impact your motor and cognitive senses; as a matter of fact, most patients report affected coordination capabilities when this antidepressant and alcohol are used together. The effects are usually more pronounced within the first few weeks of starting on TSAs. Related antidepressants such as trazodone and mianserin can also reacts similarly with alcohol. It is high recommended that you avoid alcohol completely for the first few weeks, till you can learn about the possible side effects that the medication causes. Other antidepressants: While drugs like reboxetione, venlafaxine and duloxetine do not react strongly with alcohol, the manufacturers of venlafaxine advise strongly against consuming alcohol when on the medication. Similarly, drinking alcohol when on mirtazapine can augment the risk of coordination problems and make you sleepy, so it would be dangerous to drive or operate heavy machinery when using this antidepressant with alcohol. Alcohol also numbs the central nervous system causing the same side effects, so when mixed together, alcohol and antidepressants can cause a lot of harm. If you have consumed alcohol when on antidepressants, it would be best to stay away from the wheels of a car and heavy machinery. Even if you are drinking alcoholic beverages when on a class of antidepressants that does not react strongly with alcohol, it is advisable to never exceed your daily limits. Heightened feeling of depression: Alcohol can offer temporary reprieve from the symptoms of depression; however, as the intoxicating and numbing effects induced by alcoholic drinks fade away, the feeling of depression is heightened. Also, since both alcohol and antidepressants act on the same part of the central nervous system, so alcohol can complicate the body’s response to antidepressants and make it more difficult to address the symptoms of depression. The overall effect of alcohol intensifies the symptoms of depression, so it would be best to stay away from the bottle when on antidepressant pills. Impaired thinking and alertness: The combination of alcohol and antidepressants can greatly mar your ability to think and make decisions; it also impacts your judgment, reaction time and coordination more than alcohol alone. Some drugs when combines with alcohol can intensify the feeling of drowsiness and impact your ability to perform tasks which require attention and focus. Combination can be extremely dangerous if it includes another type of drug: Alcohol and antidepressants together can be extremely dangerous; however, the risk increases by several manifold if you add another drug to the equation such as prescription pain medication or sedatives. Increased risk of alcohol addiction: People who suffer from depression are more susceptible to alcohol and substance abuse. If you feel that you have a problem with alcohol consumption, it would be best to get this treated before using antidepressants. Do not stop taking antidepressants or any other medication that you are on just because you want to enjoy a drink; getting off drugs such as antidepressants suddenly can have serious psychological ramifications. Most antidepressants have to be taken regularly and in consistent doses to maintain their level in your system and help with the symptoms of depression. Stopping the medication abruptly and taking it again after a few days can make your symptoms worse. Although it is highly recommended that you do not consume alcohol and antidepressants together, an occasional drink may not hurt depending on the type of medication that you have to take. Talk to your doctor about any health conditions that you may have which require medication and discuss how alcohol and antidepressants that you have been prescribed react with each other. Also, mention any supplements including herbal products that you may be taking to be absolutely safe. 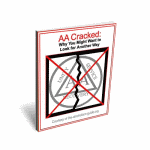 Stop drinking alcohol with AA. Alcoholism cure. Is there one? 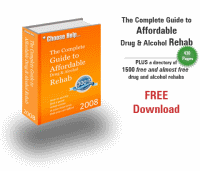 Want To Read About The Myths That Maintain AA's Dominance Of The Alcoholism Recovery Industry? 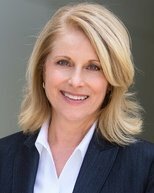 Why You Might Want To Look For Another Way"
Got a Question about Alcoholism? My Father Is An Alcholoic, How Do I Set Boundaries?